19th Century Brass Constable Badge.G.L. intials/for name of the Constable in Warren, Rhode Island. The pin has broken off or been removed from the back. Picture of the back is available by request. 19th Century Brass Constable Badge.G.L. 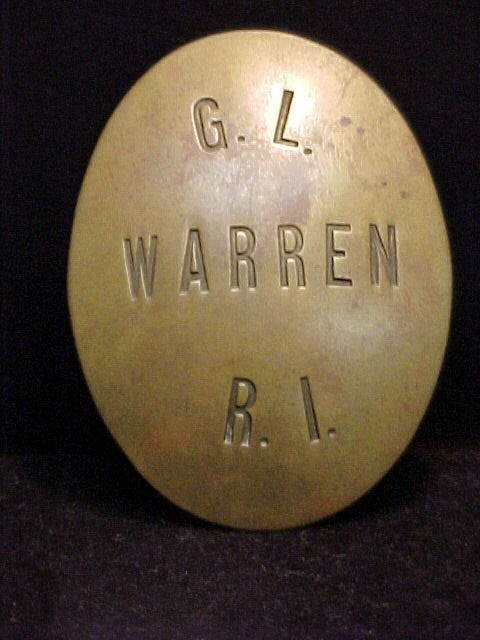 intials/for name of the Constable in Warren, Rhode Island. The pin has broken off or been removed from the back. Picture of the back is available by request. Please email cowboycabin@centurytel.net with questions or call 406 270-2842.